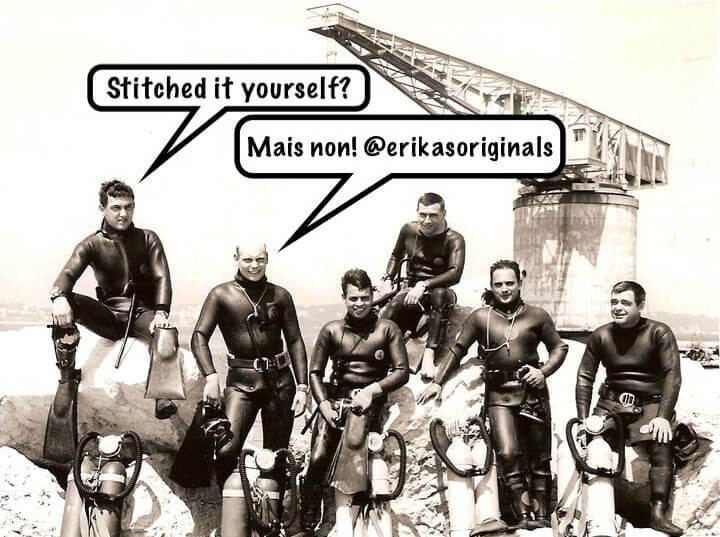 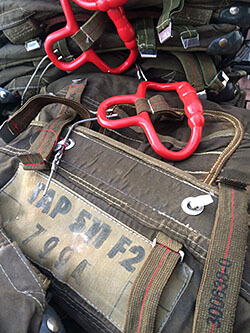 My patented Black Ops MN™ Straps are made from black elastic parachute webbing. 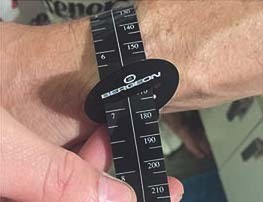 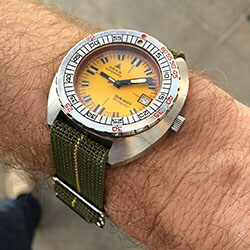 They are available for 20, 22 and 24 mm lug width watches. The MN™ Strap is made from nylon wound and woven natural rubber that regulates moisture, adjusts to your wrist effortlessly and is widely considered the most comfortable all-season watch strap available. 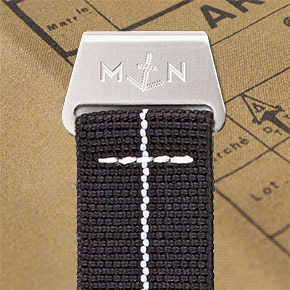 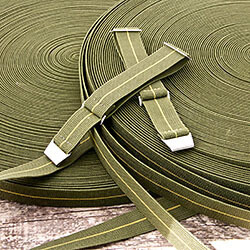 All MN™ Straps are double saddle stitched by hand with the finest French linen. 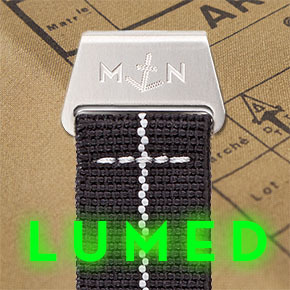 Click Here for more information about the Lumed MN™Straps.